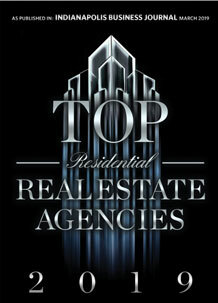 Located at 802 N. Meridian Street is the architectural masterpiece of condo construction known as Meridian Arch condos. 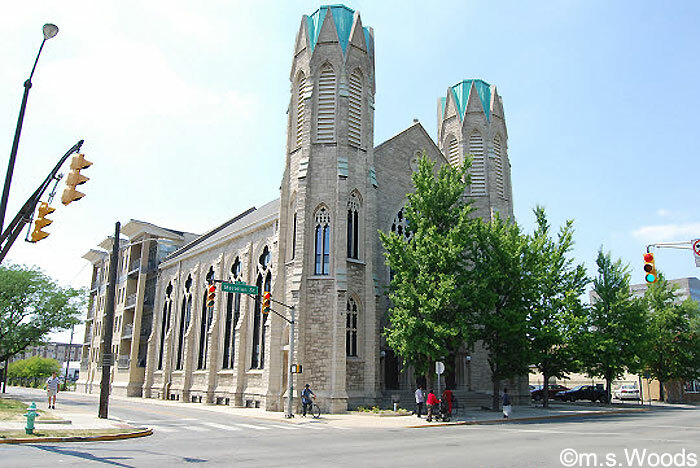 Formerly the Meridian Street Methodist Episcopal Church, and more recently home to the Indiana Business College, this renovated, historic building was spared a planned demolition when preservation officials for the city reached an agreement with local residential real estate developer, Hearthview, to preserve the shell. 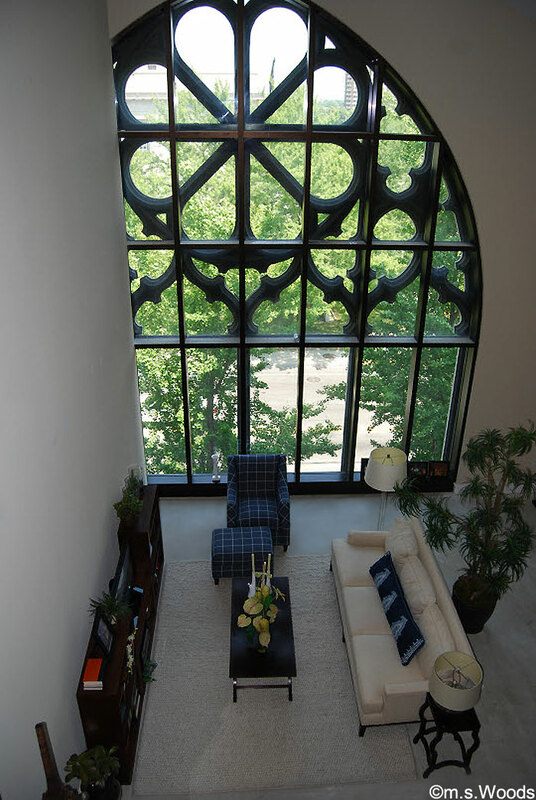 Fast-forward to the present day, and this beautifully preserved building is now home to 8 luxurious condo units designed by Browning Day Mullins Dierdorf Architecture. 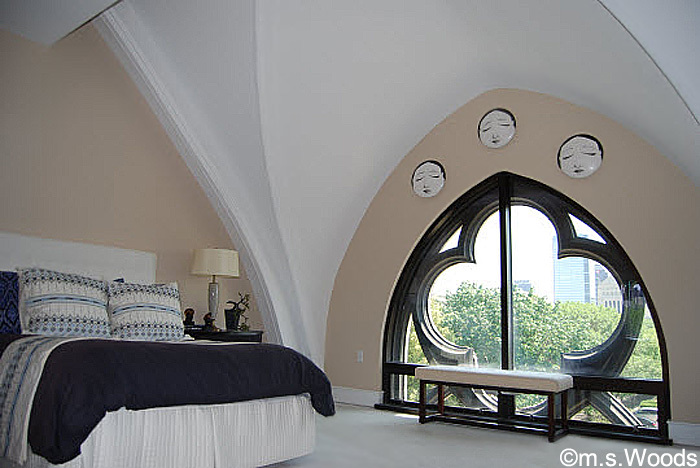 While these new condos are completely modern on the inside, the building's historic shell, which includes massive arched Gothic windows, was left intact, and is an integral part of the interior aesthetic. 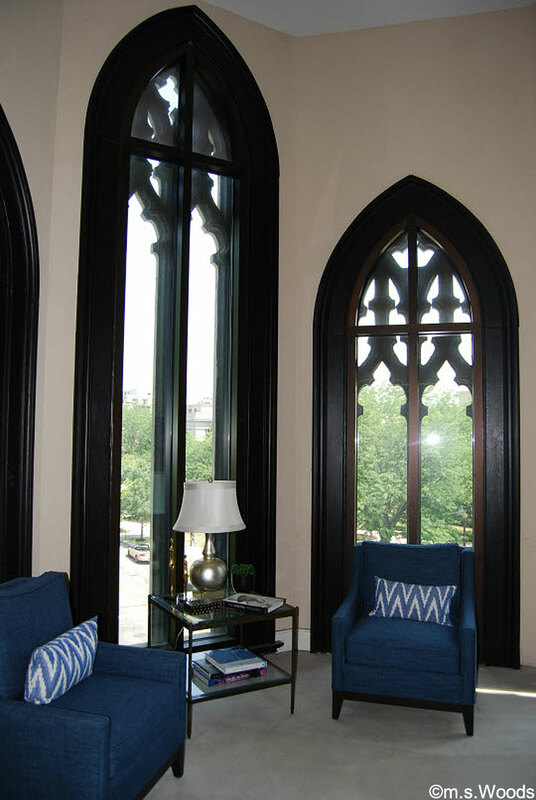 Soaring ceilings and massive, Cathedral windows, like the ones shown in the above photo, make this a truly unique living experience, unlike any other condo you'll find in the Midwest. 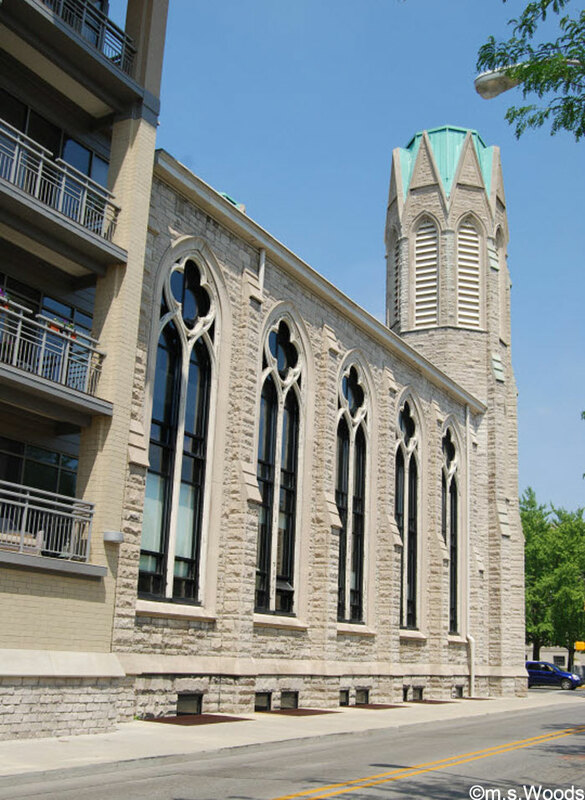 The architects worked closely with the Indiana Historic Preservation Commission to ensure that this historic Indianapolis landmark retained its historic value while stepping into the 21st century. 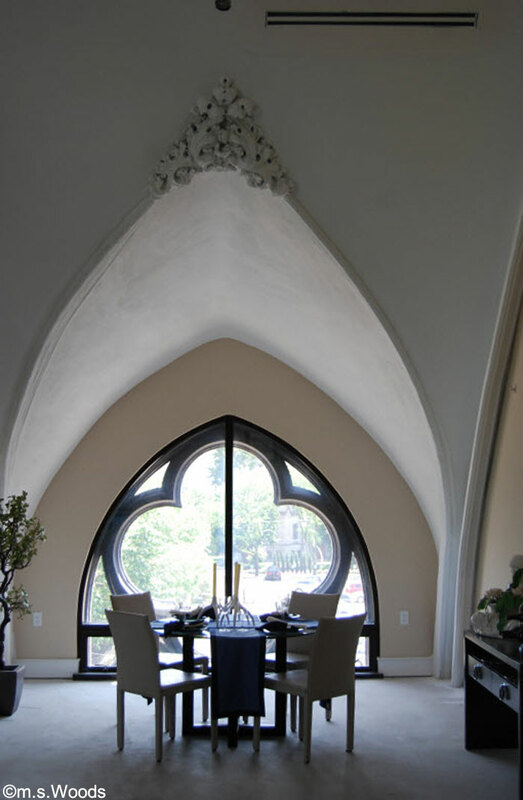 Historic shell left intact, virtually any room becomes a masterpiece. Amenities include, soaring cathedral ceilings, garage parking, hardwood floors, granite counters, gourmet stainless steel appliances, a large center kitchen island, double sinks in master suite, beautiful tiled showers, dishwasher, laundry room with washer and dryer, electric oven and range or gas oven, private balcony, maple cabinetry and more.